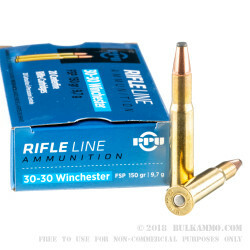 PPU .30-30 ammunition from Serbia is a lot of bang for your buck! 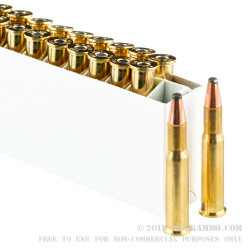 This 500 round case contains 25 boxes of 20 centerfire cartridges loaded in boxer-primed brass with lethal flat soft point bullets. 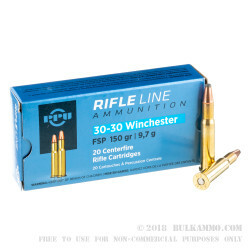 30-30 Winchester ammo has been used for hunting deer and boar and many other medium sized game for over 120 years. Prvi Partizan has gained a reputation for affordable and dependable hunting ammo for outdoorsmen all around the world. 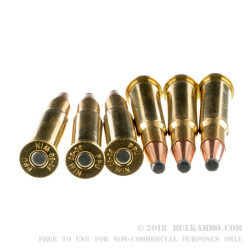 A: Hello Chuck, This ammunition is loaded with a standard Lead Round Nose projectile and contains no steel. You will have no issues with this ammunition passing a magnet test.